Careful consideration has been taken when making sure the horses in our stables are getting the best care possible. 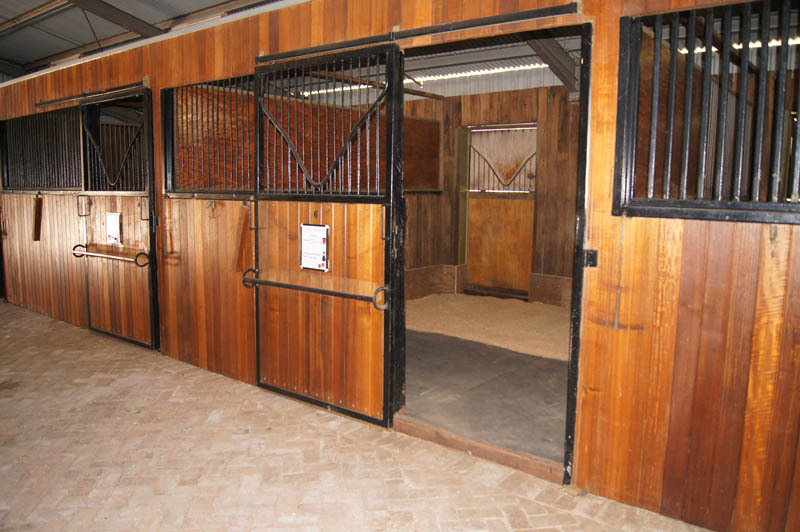 7 large stables for hire. Rubber mats on stable floors, half covered with clean sawdust. Hot & cold wash bay. Feed/hay shed for use in adjacent building. Stables are opposite the indoor arena. Large driveway to entrance for ease of access. Toilets & bathroom with shower for your convenience. McLaren Park Equestrian is located in McLaren Vale of the Fleurieu Peninsula, South Australia. Our custom built equestrian centre includes a fully enclosed indoor competition arena, outdoor arena, indoor stables, outdoor yards & paddocks plus amenities. © McLaren Park Equestrian. All rights reserved.